Around 300 techies, coming from as far away as Japan, New Zealand, Brazil, met in Pisa for YAPC::Europe for the Renaissance of Perl or was it “C’è piu di un modo per farlo!”. 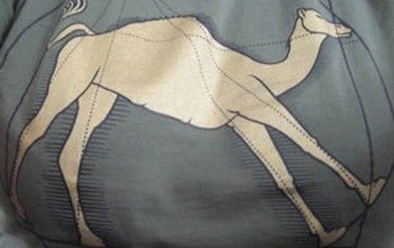 Who said that Perl is dead? I understand that Booking.com, a sponsor of the event, are looking for an extra 30 Perl programmers to join their team in Amsterdam. Other sponsors included cPanel, Shadowcat Systems Limited, 123people, Venda, Dada and many, many more. It felt that Perl is doing extremely well even though it sometimes gets a bad press. A long list of speakers including Larry Wall, Dave Cross, Tim Bunce, Matt Trout and many others gave 3 days, 4 tracks’ worth of talks with the latest on Rakudo, Moose, Catalyst, etc. As Bruno CZekay says in his blog: “In very, very short words – it was awesome! Talks were interesting, venue was comfortable, O’Reilly’s stand was well prepared, schedule was properly tailored, food was nice, people were fantastic, beer was tasty. Weather was good (well, compared to Amsterdam, almost every place provides nice weather) and the tower was leaning.” I feel Bruno forgot to mention that the organisers did a fantastic job – keeping the heavy schedule on time, helping everybody and really looking after us throughout the conference. Another interesting fact – only 4 delegates from the first YAPC::Europe in London attended YAPC:Europe in Pisa. Deduction – Perl is attracting new blood. One more item – YAPC::Europe 2011 will take place in Riga.